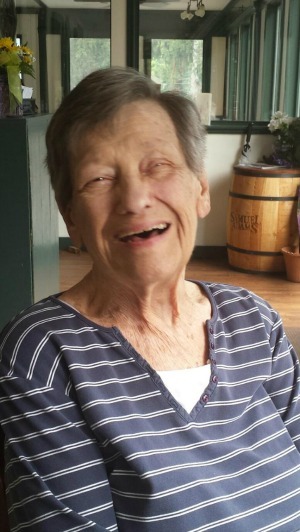 Mary Lou Shissler, 88, died at a memory care home in Silverdale, WA on Sunday, September 16, 2018. She was born in Lancaster and lived there most of her life. Her parents were the late Claire L. and Mary Axe Troop. She was married to the late Carl M. Shissler. Mary Lou worked at Hamilton Watch, WGAL TV8, and Watt & Shand Department Store in downtown Lancaster. She loved traveling, fishing, and cooking. Surviving are daughters Susan A. Boyles of Port Ludlow, WA, Marilyn Sebelist of Lancaster, PA, four grandchildren of Lancaster, and nine great-grandchildren. Friends and relatives are respectfully invited to a Visitation on Monday, September 24, 2018 at 10:00 AM at the DeBord Snyder Funeral Home, 141 E. Orange St., Lancaster, PA 17602. The Funeral Service will begin at 11:00 AM. Burial for family and close friends will follow at Riverview Burial Park.